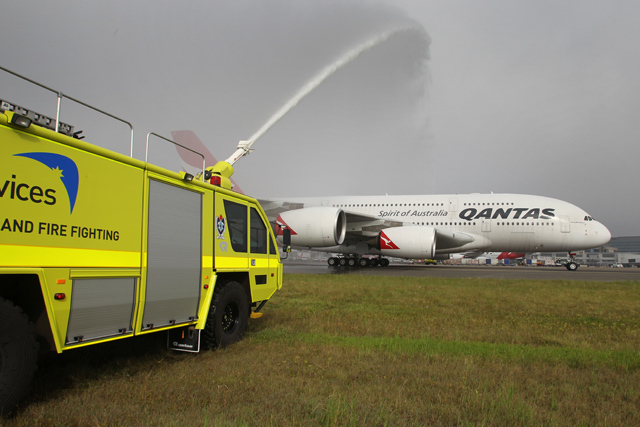 Nancy-Bird receives a water “Guard Of Honour” welcome back to Sydney airport after receiving probably the longest and most expensive repair in aviation history. I and everyone else on board was touched during this salute. No-one had a dry eye! I am now reading your book for a second time, and I cannot help but get goosebumps watching the video of VH-OQA’s triumphant return to Australia after over a year and a half in Singapore. 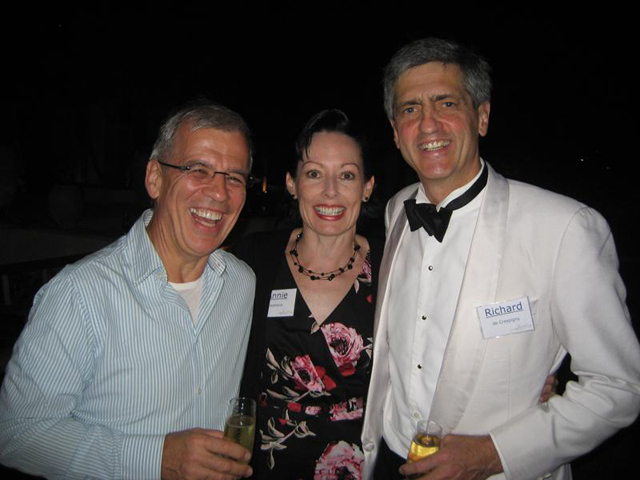 I have been fortunate to have flown on Qantas A380s quite a few times over the past 6 years (including Nancy-Bird in April 2009), and I always look and listen out for you and Matt! Maybe I will have more luck flying out of Sydney instead of Melbourne! All the best and thank you for the magnificent account that is your book QF32. During the 1990s I flew all over Asia, Europe and America always selecting QANTAS flights, quickly graduating to QANTAS CLUB GOLD (the highest class in those days). I was privileged to have a seat on the flight deck of (Boeing 747-400) Wunala Dreaming (VH-OJB) for a landing into LAX as well as experiencing landings at other airports. I now live in New Zealand but have a strong affinity to QANTAS. 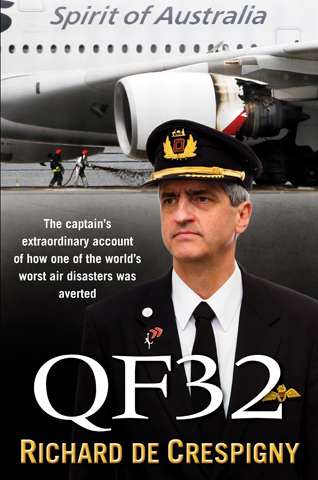 On a trip to Melbourne recently I saw the book QF32 and have just finished reading it. The story is truly amazing, the skill of the flight crew left me breathless at times. But the over riding thoughts were about the Qantas A380 itself. Despite the phenomenal damage it continued to fly and provide some levels of systems and controls – surely the BEST commercial aircraft in the world today.